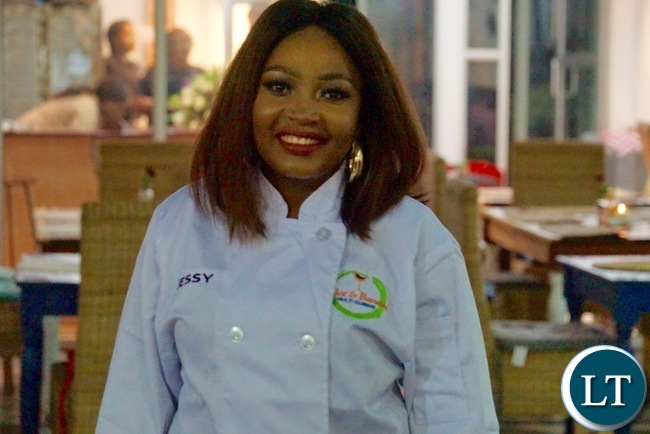 A Young Zambian female entrepreneur has launched a restaurant adding nutritional value to the nation and creating the much needed employment. Founder and proprietor Jessie Chipindo said she opened her first restaurant in January 2014 and has decided to expand by open a second restaurant in the premises of Southern Sun and create the much needed employment in the country. Ms Chipindo said she is committed to offering fresh, healthy and well prepared local and international food. She thanked the government for creating an enabling environment for young entrepreneurs to flourish. And Minister of Tourism and Arts Charles Banda said the newly launched Dulce & Banana has employed 50 specialized staff a move that has pleased the government. He said Government stand ready and remain committed to helping young entrepreneurs to expand their business and recognizes the unequalled role that the private sector plays in developing and sustaining the country’s economy. Mr Banda said his ministry was also happy that Dulce &Banana multi-cuisine restaurant will add value to nutritional factors which many Zambians are concerned about in the recent values. Question is what has the useless pf government done to deal with unemployment.. Very wonderful! ebanakashi aba! What’s the name. Am in Zambia currently and want to come and chow there. The question is what has the noisy NEZ done to create employment. This youth is not PF but she has created 50 employment jobs. You and I are busy making noise and our fellow Zambians are creating jobs. I am about to create jobs as well and I will give you my figures in the second quarter of the year. Dulce de lenche, OK that’s one brilliant girlie, though don’t feel comfortable with the banana at the end it makes your restaurant sound like dolce and gabbana, well congrats you have achieved what even Jameson has failed to achieve in his life time, just look at tgis pf cadre nubian princess she can’t even see what is right under her nose busy asking for directions, useless cadre. Wonderful Jessie, great atmosphere and delish food. Will support your new outlet too.